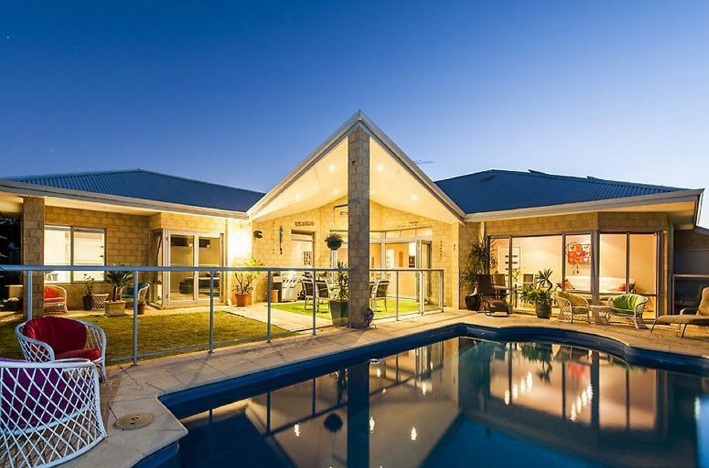 RELAX poolside with this four-bedroom home only 700m from the Port Kennedy foreshore. 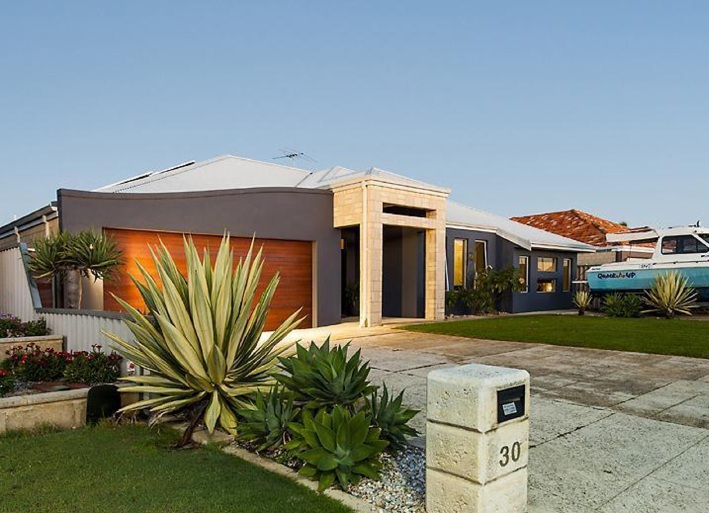 Built by Dale Alcock Homes, the house has 251sq m of living space on a 675sq m block. The low-maintenance block has landscaped gardens, a double garage, extra parking and resort-styled backyard. Through the double-doors is an entrance hallway with a curved feature wall with an art recess and a flowing floor plan with space for a growing family. 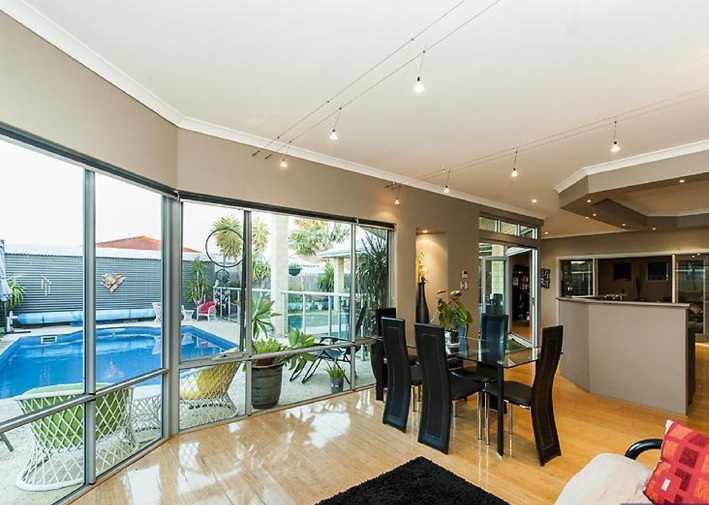 Inside the residence are high ceilings, quality window furnishings, modern lighting, ducted reverse-cycle airconditioning, ducted vacuuming and bamboo flooring throughout. 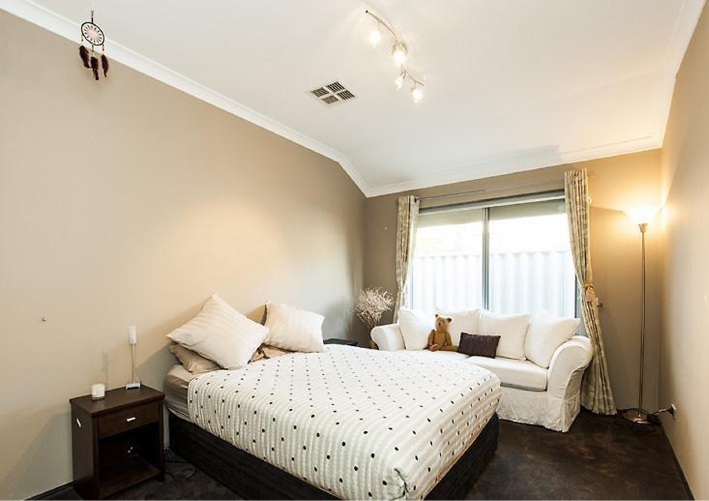 The master suite is at the rear of the home, separated from the rest of the house by an activity area, and containing a walk-in wardrobe, ensuite bathroom and access to the back yard. 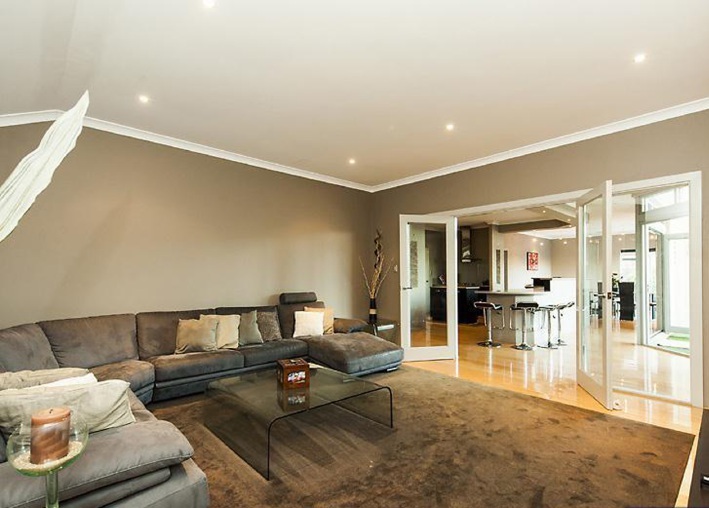 Along with a study, perfect for use as the fifth bedroom, is a living room which would make a great theatre room. 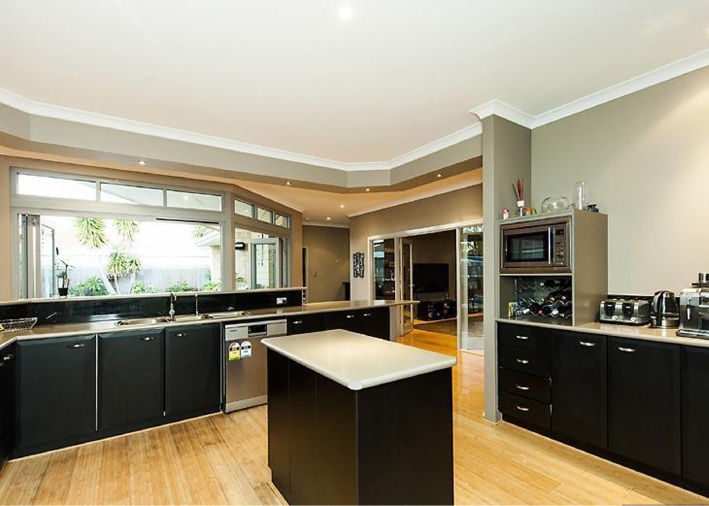 A stunning kitchen with dark cabinetry has plenty of bench space, island bench, plumed fridge/freezer recess and overlooks the open-plan living/dining area.